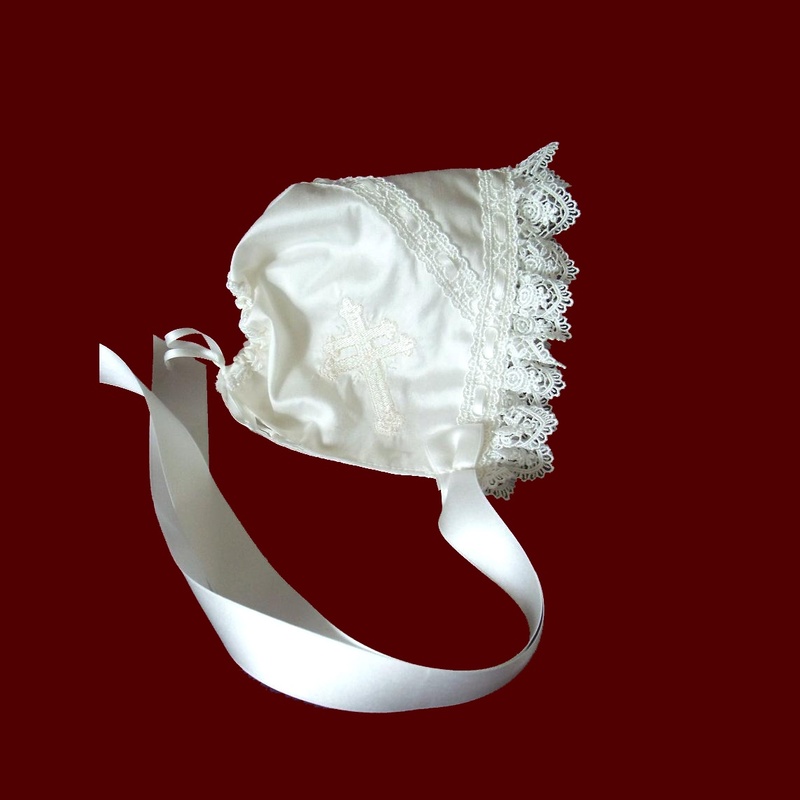 Embroidered cross on the bonnet with lace beading and ruffled lace highlight this girls christening bonnet. The back ribbon casing can be adjusted in size as baby grows. Satin ribbon ties. Cross embroidery can be all white, all ivory or with pale pink accents (shown). Available in all sizes in white or ivory in the following fabric choices: Silk dupione, satin (shown), shantung, cotton sateen, linen batiste, Irish linen and cotton batiste. 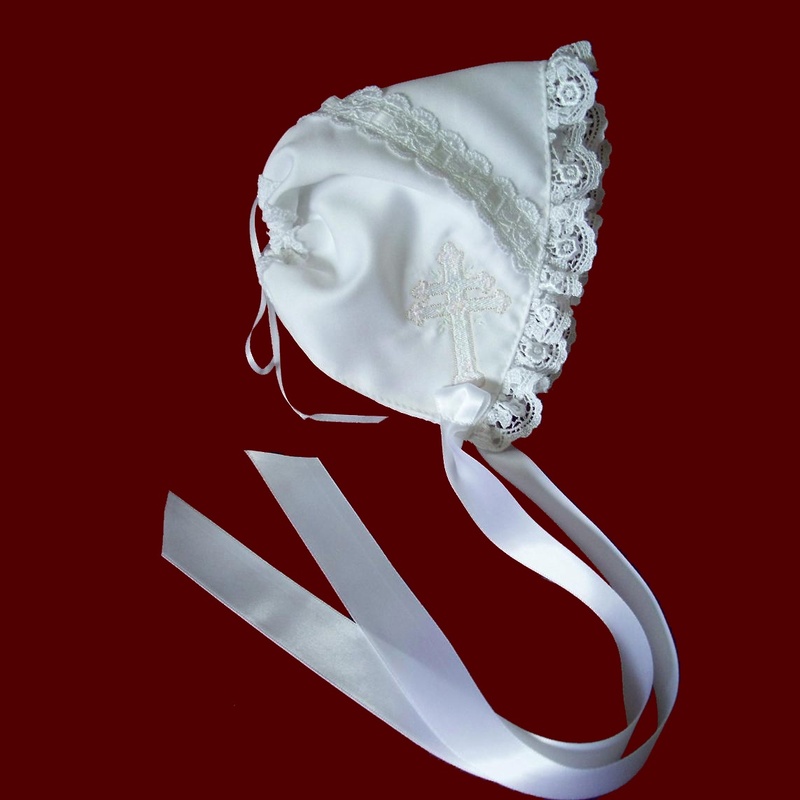 Also available with optional removable cotton liner to absorb the oils used during the baptismal ceremony. Irish accents may be added to all items on this website. *New embroidered cross designs to choose from.